The synthesis, structural characterization and the successful application of a carbon centered radical derived from 1,3-bisdiphenylene-2-phenylallyl (BDPA), its benzyl alcohol derivative (BA-BDPA), as a polarizing agent for Dynamic Nuclear Polarization (DNP) are described. 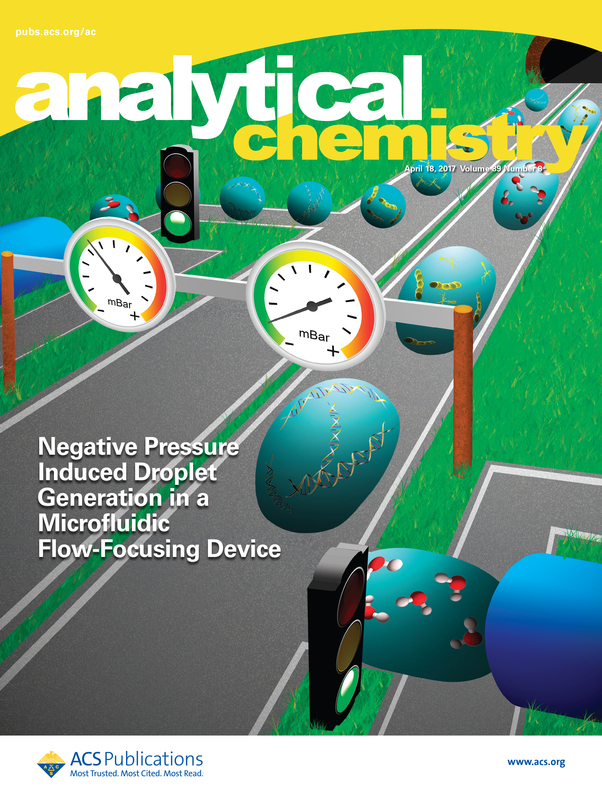 The reported BA-BDPA radical meets all the requirements to become a promising candidate for its use in in-vivo DNP-NMR experiments: it is soluble into neat [1-13C]pyruvic acid, insoluble in the dissolution transfer solvent and effective as a polarizing agent in fast dissolution DNP-NMR applications, without the need of using glassing agents. 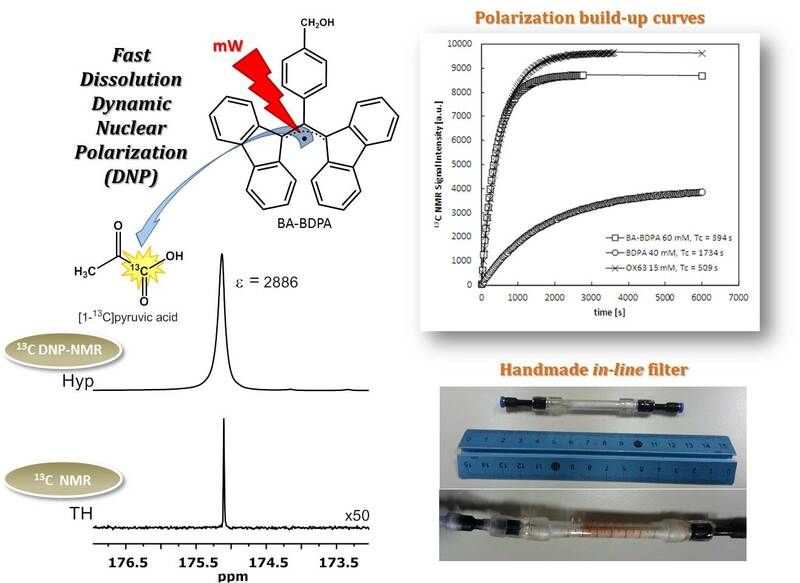 Moreover, it enables a simple but effective in-line radical filtration to obtain hyperpolarized solutions of [1-13C]pyruvic acid free of radicals, that offer a much better polarization performance. © 2015 – 2017, Eva. All rights reserved by the author(s) and Universitat Autonoma de Barcelona except for texts and images already copyrighted by third parties (e.g. journal publishers) and used here under the fair use provision.